Simvastatin (Brand Name Zocor) and the Side Effects you may experience. Simvastatin (Zocor) is one of the more potent and popular of the statin class medications, marketed under the brand name Zocor by Merck and Co., but also produced in several generic forms and occasionally found combined with another medication under a different brand name besides. 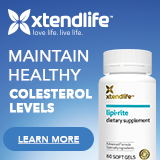 Simvastatin is indicated for lowering high cholesterol levels found in either familial or non familial hypercholesterolemia, and for reducing the risks of cardiovascular heart disease. Simvastatin (Zocor) has shown early promise in reducing cardiovascular events by up to 34% and the risks of having to undergo surgical revascularization procedures such as coronary bypass by up to 37%. Simvastatin (Zocor) can reduce LDL-C levels up to 47%, although this is the maximum value and might not reflect your particular condition. For one, your cholesterol might not be so bad that 47% LDL-C reduction would be a good thing, we do need some cholesterol to function after all. You have to weigh over three hundred pounds in order to be able to lose two hundred, and in the same way, you have to have miserably high cholesterol in order to see a huge percent drop. Simvastatin (Zocor) is only available through a doctor's prescription. Because of it's strength, you and your doctor have the responsibility to find the lowest dose that gets the job done and your cholesterol back in balance. Like all statins, more simvastatin is not better. Simvastatin (Zocor) should never be taken by pregnant or nursing mothers unless the benefit to the mother clearly outweighs the risk to the developing child. Unborn and newborn children alike desperately need cholesterol in order to develop properly, and if the mother has high cholesterol levels, the baby will probably take care of it enough to get by for a couple of years. In addition, unlike atorvastatin (Lipitor), lovastatin (Mevacor) and fluvastatin (Lescol), you really do not want to take this drug if you have severe problems with your kidneys not working. Mild and moderate kidney problems might be ok, but you still want to watch it. People who suffer from either active liver disease or unexplained high levels of liver enzymes in their blood shouldn't take simvastatin (Zocor) either, as it can either build up too much in the blood, cause more liver damage, or both. The guidelines published by Merck recommend a blood analysis of liver enzymes prior to beginning simvastatin (Zocor), and then again at 12 weeks and 24 weeks. All of the people who developed liver function abnormalities in connection with simvastatin (Zocor) did so within the first six months of starting treatment or increasing their dose, which is why the guidelines also recommend repeating those tests before the dose increase as well as 12 and 24 weeks thereafter. Even after this initial testing period, because Simvastatin (Zocor) works directly on the liver it's a good idea to have the blood analysis for liver function repeated every so often. Simvastatin (Zocor) has proven relatively safe for post-pubescent boys and girls who've been menstruating for at least a year. The maximum dose tested of Simvastatin (Zocor) in these adolescents was up to 40 mg for kids who had heretozygous familial hypercholesterolemia, which means they only got it from one parent, and up to 80 mg for kids who suffered from homozygous familial hypercholesterolemia, meaning they got it from both parents. No ill effects beyond what was also normal for the adult population was noticed, but not enough time has passed since those clinical studies to really know what the long term effects of Simvastatin (Zocor) will be for good or for ill. Younger children were not tested on simvastatin (Zocor) because there is no real way to do so ethically with such a relatively new drug. Pravastatin (Pravachol) is the only member of the statin class of medications that has been studied on children as young as eight. Any time a child, whether pre- or post-puberty, starts on a lipid lowering medication, he or she needs to be re-evaluated on a regular basis to make sure that development is still progressing normally and to ensure that the current dose is still correct for his or her particular cholesterol level and body size. Zocor contains simvastatin, cellulose, hydroxypropyl cellulose, hydroxypropyl methyl cellulose, iron oxides, lactose, magnesium stearate, starch, talc, titanium dioxide, and butylated hydroxyanisole added as a preservative. This particular list of ingredients is only applicable to medication labeled under the brand name "Zocor". Any generic, and there are quite a few different generic forms out there, are going to be made differently. This ingredients list is provided because you need to avoid the medication if you're allergic to the drug itself and if you're allergic to any given inactive ingredient used to make the tablet. If you're allergic to anything in this list, you may want to check out one of those generics, but be sure to find one that's free of your allergin before putting anything in your mouth. How long before Simvastatin (Zocor) works? Simvastatin (Zocor) reaches its peak concentration in the blood within four hours after taking it. Simvastatin (Zocor) generally takes about forty-eight hours to clear out of the body to the point where tests can no longer detect it, as is reasonably standard in the statin class, again with the exception of pravastatin (Pravachol). The dosing guidelines state to start taking Simvastatin (Zocor) at night, but I couldn't find any data as to whether it was really important. Most cholesterol processing goes on during the night, so doctors generally prescribe it for evening dosing to take advantage it. Simvastatin (Zocor) can also be taken with or without food as long as you're on a low-fat diet, whichever makes you more comfortable. If you take simvastatin (Zocor) with a high-fat meal, it may bind the drug in your intestines and keep it from doing its job. Simvastatin (Zocor) takes about two weeks after beginning the medication for a therapeutic response to show up, and maximum therapeutic response will usually be reached in four weeks to six weeks, which continues as long as a dose is taken daily. Simvastatin (Zocor), being a statin class medication, requires a great deal of care in order to combine with certain other classes of medications. If you're taking Simvastatin (Zocor) with cyclosporine or danazole, you shouldn't take more than 5 mg per day. If you're taking Simvastatin (Zocor) with gemfibrozil or fenofibrate, you probably don't want to go above 10 mg per day. If you're taking Simvastatin (Zocor) with amiodarone or verapamil, 20 mg per day is the maximum dose of simvastatin (Zocor) you should probably be on. In addition, you should only be taking these things at the same time if you and your doctor decide that the risk of myopathy/rhabdomyolysis is worth the cholesterol-lowering benefit. Itraconazole, ketoconazole, erythromycin, clarithromycin, telithromycin, HIV protease inhibitors, nefazodone and grapefruit juice should all be avoided if at all possible while taking simvastatin (Zocor). When taking simvastatin (Zocor), you also want to follow the dosing guidelines for antacids, cholestyramine and colestipol when taking them at the same time. If you take them together, they can bind simvastatin (Zocor) in the intestines, causing it to just pass out of the body without doing much good. Therefore, separate the doses by about four hours. Simvastatin (Zocor) has proven to work well in combination with ezetimibe (Zetia), because while simvastatin works to reduce cholesterol synthesis in the body, ezetimibe reduces the absorption of cholesterol from the intestines, which takes care of dietary cholesterol and cholesterol synthesized in the gall bladder. Simvastatin (Zocor) comes with the same general side effects as the rest of the statins. Whenever you take any given drug, it may affect you with different side effects any drug in the same family, so you and your doctor need to analyze your specific circumstances carefully and find the right one for you. That's part of what all those annoyingly vague pharmaceutical commericals mean by "Talk to your doctor to find out if (insert brand name here) is right for you." This analysis takes place both before you start on a new medication and after beginning it. Before you start Simvastatin (Zocor) you make sure that you've eliminated all of the secondary causes of high cholesterol, such as bad diet, alcoholism, uncontrolled diabetes, hypothyroidism, obstructive liver disease, kidney problems, and high cholesterol brought on by therapy from another drug. After you've been taking Simvastatin (Zocor) for a bit, see if you can live with the side effects this particular medication does to you. Remember, simvastatin (Zocor) is only for high cholesterol levels caused by high LDL-C. Elevated high density lipoproteins (aka "good cholesterol") can be a problem as well if your cholesterol is really out of control, and this is not the drug to treat high cholesterol caused by extremely high HDL-C. Overdose information on simvastatin (Zocor) doesn't exist in any detailed form. A few people have overdosed on Simvastatin (Zocor), and they all recovered from it without permanent damage. As with most prescription drugs, Simvastatin (Zocor) has deadly effects on animals when given in extremely high doses over a long period of time, but that doesn't help you when you find your child with the open bottle in hand. My Physician's Desk Reference, 2006 Edition recommends getting the person who overdosed to a hospital as soon as possible, treat the symptoms as they appear, and do a lot of laboratory tests to check on cholesterol levels, liver enzymes, and kidney function until they're sure to be stable. While any medication overdose is generally treated with hemodialysis, there's nothing to indicate that will work with simvastatin (Zocor). Simvastatin (Zocor) prescriptions are filled by a pharmacy technician and then checked by a pharmacist for accuracy before being handed to you. Mistakes do, however, happen. Please, please check your medication when you get it from the pharmacy before you take it. It may save your life. The 5 mg dosage of Zocor is a buff, shield shaped tablet labeled "MSD 726" on one side and "ZOCOR" on the other. The 10 mg dosage of Zocor is a peach, shield shaped tablet labeled "MSD 735" on one side and "ZOCOR" on the other. The 20 mg dosage of Zocor is a tan, shield shaped tablet labeled "MSD 740" on one side and "ZOCOR" on the other. The 40 mg dosage of Zocor is a brick red, shield shaped tablet labeled "MSD 749" on one side and "ZOCOR" on the other. The 80 mg dosage of Zocor is a brick red, capsule shaped tablet labeled "543" on one side and "80" on the other. I think this is to differentiate this high dose from all the others, but I wish they'd stay consistent. Maybe they just ran out of colors. Keep in mind that these descriptions are only good for the brand name Zocor, and will not hold true for any other form of simvastatin. Get to know what your medication is supposed to look like. Proper storage helps keep the medication from breaking down before its expiration date. Simvastatin (Zocor) should be stored between 5 to 30 degrees C (41 to 86 degrees F), which means it should be kept in a cool pantry or medicine cabinet. Don't put Simvastatin (Zocor) in your refrigerator, don't leave it out on a sunny windowsill, and try to keep it in a relatively cool, dark place. Protect Simvastatin (Zocor) from light and moisture by keeping it in its original bottle or tinted plastic and keeping the lid closed. Simvastatin (Zocor) is simultaneously more effective, more flexible and more affordable statin class medications on the market today, and its popularity is growing for all those reasons. Of course, the fact that Simvastatin (Zocor) is available in a cheaper generic form when so many statins aren't is helpful, too. If you find you don't deal well with the side effects of Simvastatin (Zocor), you may either want to try and find another form of simvastatin, as the inactive ingredients may be giving you grief, or you may want to talk with your doctor about switching to another statin class medication or to another class of lipid-lowering medications entirely. Simvastatin (Zocor) works quite well for millions of people, most of whom never have a liver malfunction or even get close to rhabdomyolysis. Just like every other medication, simvastatin (Zocor) is unique and should only be prescribed by doctors who are quite familiar with it. You'll hear that about almost every prescription medication today, but it's true. Why do you think pharmacists have to go to school for seven years? It's to have a prayer of remembering all these unique drugs. If your doctor prescribes Simvastatin (Zocor) for you and doesn't want you to have regular blood tests, feel free to bring up your concerns. If your doctor dismisses your concerns about this medication out of hand, find a new doctor. Simvastatin (Zocor) is a relatively powerful drug that, properly used, can help you reduce cholesterol levels, reduce the risks of cardiovascular disease, and help you live a long and happy life.